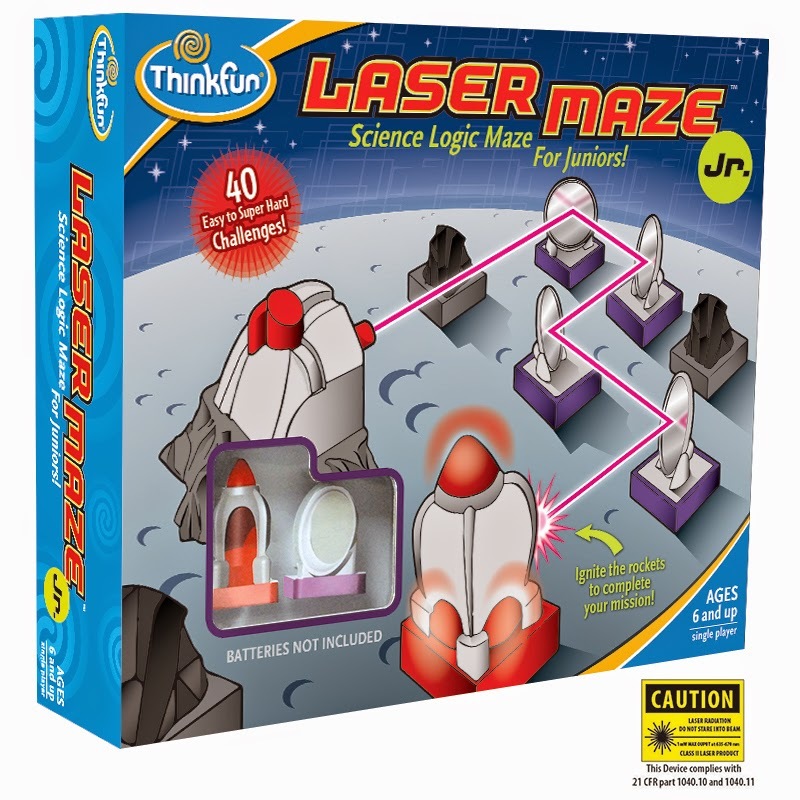 Most of my readers know that our family loves board games, but finding something new and different from everything that is out there is hard to do, that is until companies like Thinkfun step in with something new and fun to play. When I told my husband we were getting a laser game he was intrigued, trying to wait patiently until it came in. Now my husband will play board games but he doesn't enjoy them nearly as much as the rest of the family. He has a few chosen favorites and like me has been looking for a new game that would be fun for the whole family. Laser Maze Jr. is great. I really hope they come out with a larger addition as well. Laser Maze Jr. was loved by everyone in our family from my grand daughter who is 3 up to my husband and I who are 43. Thinkfun is a one of those companies that understand what mom, dads, and children want from a game. 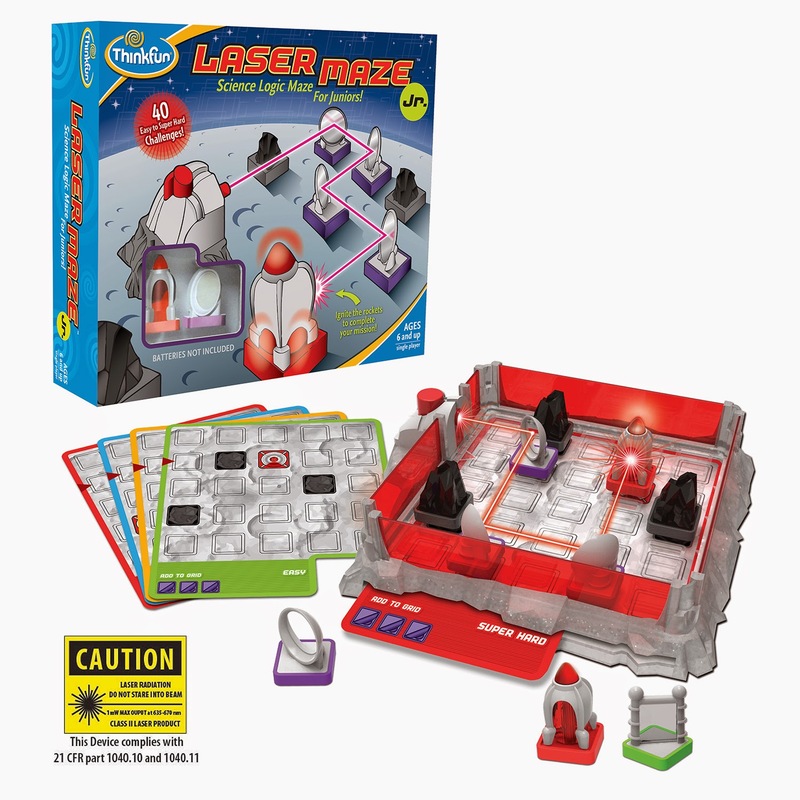 You can purchase Laser Maze Jr. on Amazon. What Thinkfun has to say about their product.